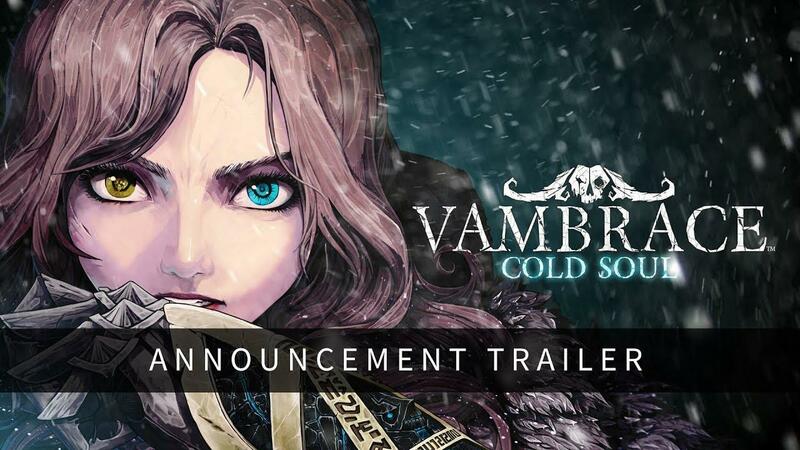 For a little background, the original concept for Vambrace: Cold Soul goes back some 19 years! The lead artist and CEO of Devespresso Games, Minho Kim, often worked on the conjured world of Icenaire as a form of escapism and shared art across Korean online forums. Later, Minho Kim met with Tristan Lee Riven, now game designer and COO at Devespresso Games and they eventually came together to launch The Coma: Cutting Class. They've now turned their attention to the world Minho Kim started many years ago, with Tristan Lee Riven working out the story elements to bring it all together. As mentioned in a few previous articles, I've been doing some early testing of the Linux version on this one. I don't want to spoil anything but I've quite enjoyed it. It's going to be available for Linux on Steam, so if it seems like your thing give it a wishlist. And it's always good to see devs take the time to make a good first impression at release. Hmm, how does it compare with Darkest Dungeon? The reason Darkest Dungeon is not on my wish list is because it looks like more management than I find enjoyable. I have beaten hard games like Dark Souls I, III, and Bloodborne, so I don't always hate a challenge. Darkest Dungeon just sounds more like work than play. (This is coming from an EVE Online player to boot.) To each his own on that regard. Anyway, Vambrace looks very interesting and pretty to look at. I am very interested in reading/watching some reviews and possibly picking it up. 14 Hmm, how does it compare with Darkest Dungeon? The reason Darkest Dungeon is not on my wish list is because it looks like more management than I find enjoyable. I have beaten hard games like Dark Souls I, III, and Bloodborne, so I don't always hate a challenge. Darkest Dungeon just sounds more like work than play. (This is coming from an EVE Online player to boot.) To each his own on that regard. Anyway, Vambrace looks very interesting and pretty to look at. I am very interested in reading/watching some reviews and possibly picking it up. I haven't actually played Darkest Dungeon myself, but watched a lot of it on Twitch. Not sure what you mean by "management", but at it's core it is a turn based combat game. There is a management component as you need to manage you hamlet upgrades and such. There is a strategy component in selecting and using your party for missions. The challenge here is probably mostly related to overcoming the RNG component instead of the type of skill needed to get through From games. Combat for this game looks heavily inspired by DD. The rest seems different though. It's a bit hard to tell since the trailer is very vague. Will have to see.